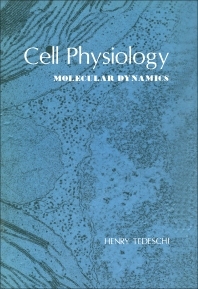 Cell Physiology: Molecular Dynamics focuses on the molecular aspects of cell physiology. It analyzes the functional and structural organization of the cell as a unit of inheritance and a biochemical transducer; the mechanisms of genetic transmission; the transcription and translation of the genetic message; the capture of energy in oxidative phosphorylation and photosynthesis; and the principle of semi-conservation in DNA duplication. Experiments illustrate the basic principles described in this book. Organized into three sections encompassing 19 chapters, this volume begins with an overview of the cell as a system of compartments, and the possible functional significance of compartmentation. It then turns to a discussion of some of the processes involved in the functioning of the cell, the genetic control of cell function, the replication of DNA, and extrachromosomal inheritance. The reader is also introduced to interactions between organelles and the nucleus; differentiation and control of protein synthesis; the role of enzymes in the regulation of metabolism; and control of macromolecules in bacteria and in some mammalian tissues. The books also covers oxidative phosphorylation and mitochondrial organization; transport and permeability of the cell membrane; the role of specialized cells in the excitation and conduction of signals; and the molecular basis of mechanochemical coupling. This book is a valuable resource for undergraduate students with a basic knowledge of the biochemical and genetic approaches to biology. III. Are the Compartments Enclosed in Semipermeable Membranes? II. Is the Sliding Filament Model Applicable to Other Muscle Systems? III. Is the Sliding Filament Model Applicable to Other Forms of Biological Movement?